A sudden onset of sharp neck pain with restricted neck movement that typically occurs after a sudden quick movement or on waking is known as an acute wry neck. 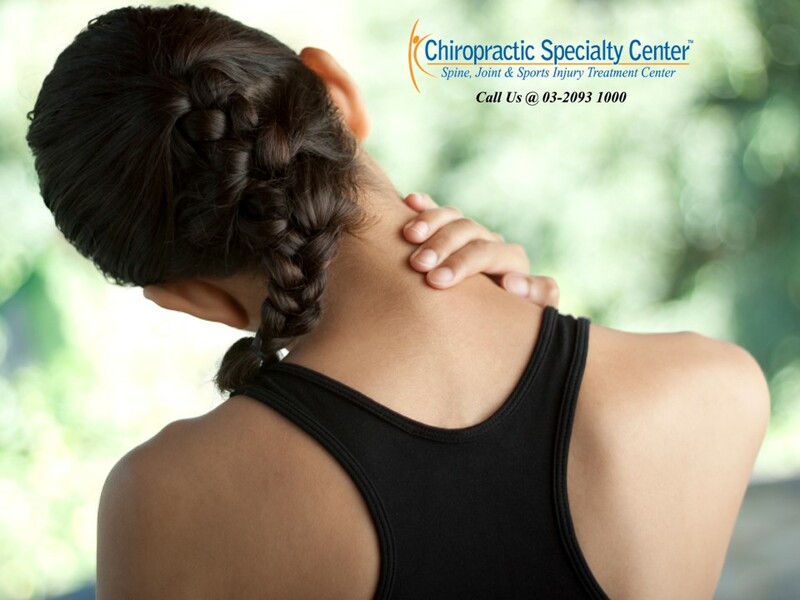 There may or may not be unusual movements or prolonged awkward positions prior to the onset of neck pain. There are two most common types of acute wry neck which can be very similar in presentation. A detail history and examination is required to differentiate the apophyseal joint and the diskogenic wry neck. The apophyseal joint wry neck is more commonly found in children and young adults. The most common segment involved is the C2/3 level. A sudden movement prior to the sharp pain is commonly reported. Locking of the upper neck segments such as C0/1 and C1/2 with trauma involved may need further investigation as the craniovertebral ligaments may be involved. The patient typically presents with the neck tilting towards the left or the right and slightly tilting forward. This antalgic posture exerts the least amount of pressure on the damaged joint. The patient is unable to bring the head and neck to the centre due to pain and muscle spasm. Joint mobilisation and/or manipulation can be helpful in reducing the pain and restoring joint mobility. Lateral flexion and manual traction with a minimal amount of pain can be effective in treating this condition. Manual therapy followed by the range of motion and motor control exercises can be employed. Ice, ultrasound and electrotherapeutic modalities can be effective in reducing the swelling and inflammation. There may still be some limitation of movement immediately after treatments due to inflammation around the muscles and joints.